Established in 1916, the ASCE Michigan Section is one of the largest and most active Sections maintaining over 2,500 members. There are 6 active Branches in Michigan including the Northwest, Western, Saginaw Valley, Southwest, Lansing/Jackson, and Southeast. Civil Engineers in Michigan are encouraged to join ASCE to develop leadership skills, enhance their knowledge of the latest technology and engineering practices, and to network with other civil engineering professionals. 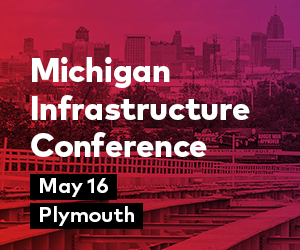 Scheduled for Thursday, May 16 at the Inn at St. John's in Plymouth and hosted by ACEC of Michigan and the ASCE Michigan Section. A golf outing to raise money for the ASCE and ACEC scholarship funds will be held on Friday, May 17. The 2018 Infrastructure Report Card for Michigan was released in March. Visit the Resources tab for additional details and links to access the report card.